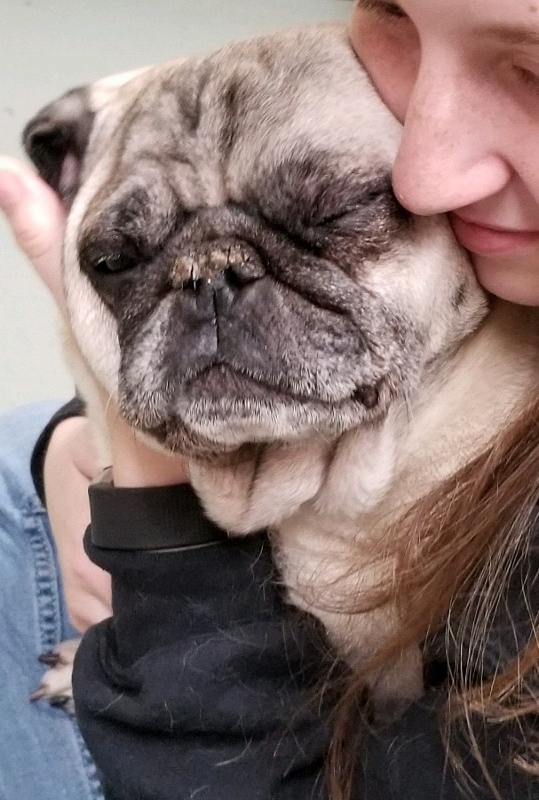 Pugsley says, "all you need in your life are Pugs and Kisses!" 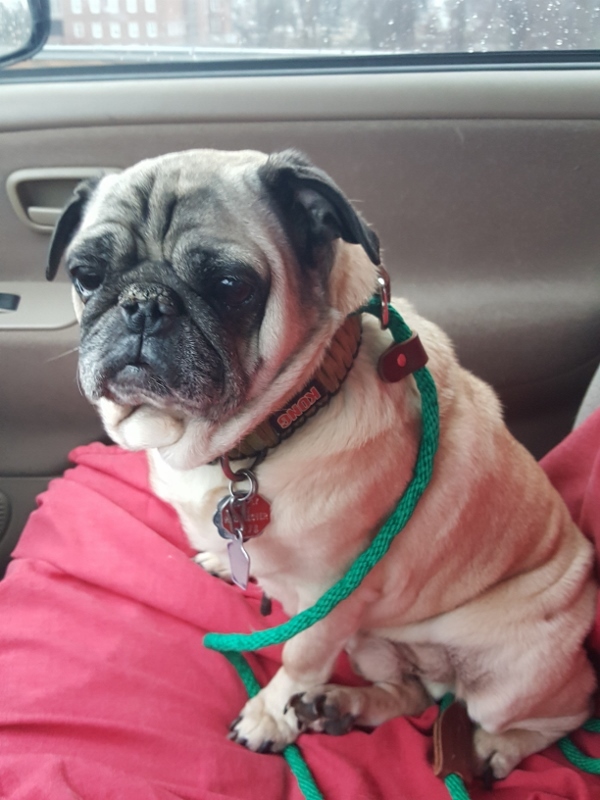 Pugsley is a goofy, 10 year old Pug who weighs 25lbs (and is at a great weight!). 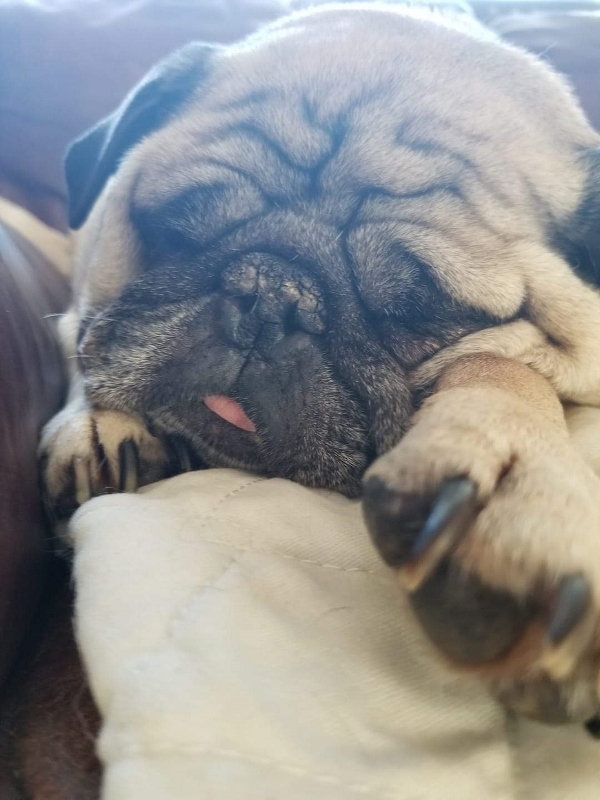 He is a lovable, smoochable puddle of wrinkles, guaranteed to wiggle his way into your heart (and onto your couch - his favorite napping spot!). 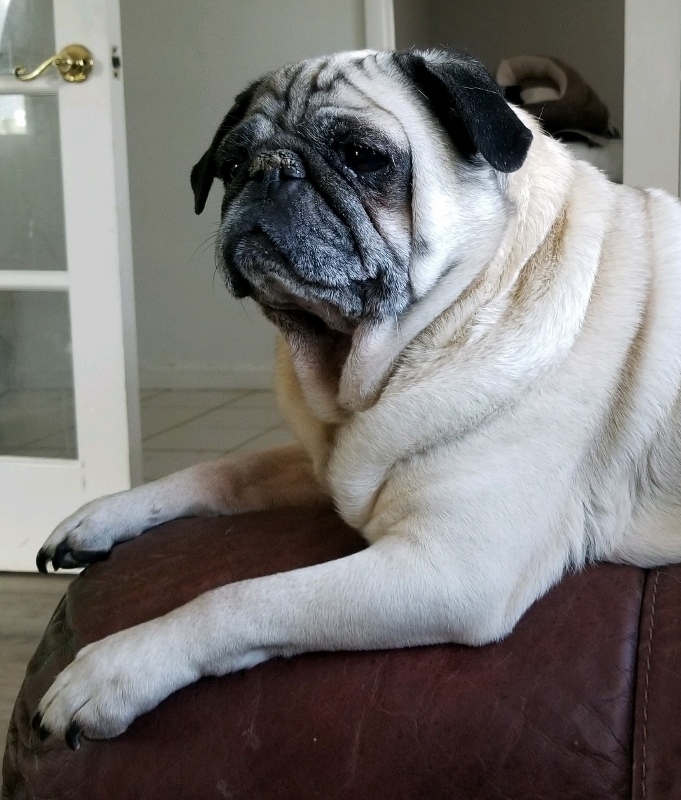 Pugsley is a very mellow, low energy kind of guy and is super easy going. He has a gentle manner with people (adults and children alike) and gets along well with cats and dogs (he's not much of a playmate, but is perfectly content to be a companion). 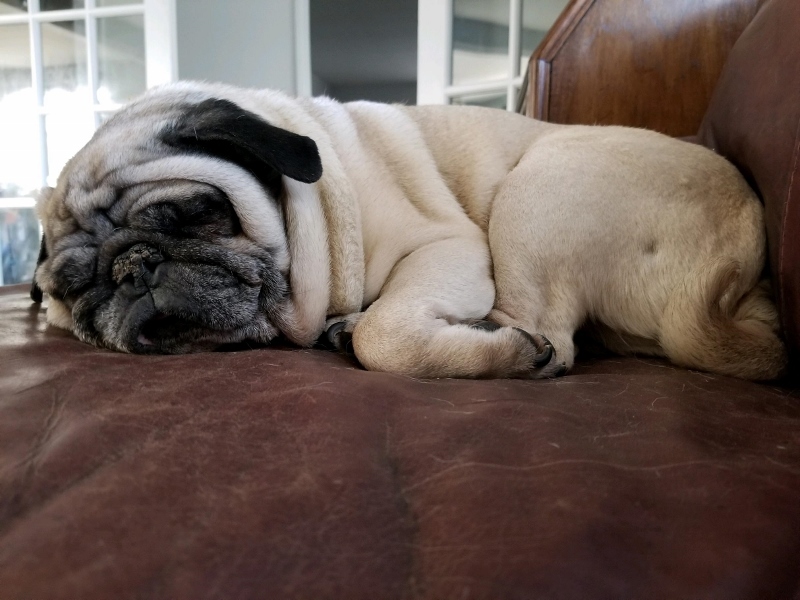 Pugsley had a reported history of seizures in his previous home, however, in his foster home with us, there have been no seizures (our vet feels that his trigger was the previous high energy/high stress environment he was living in, so we are looking for a calm, quiet home for this sweetheart). 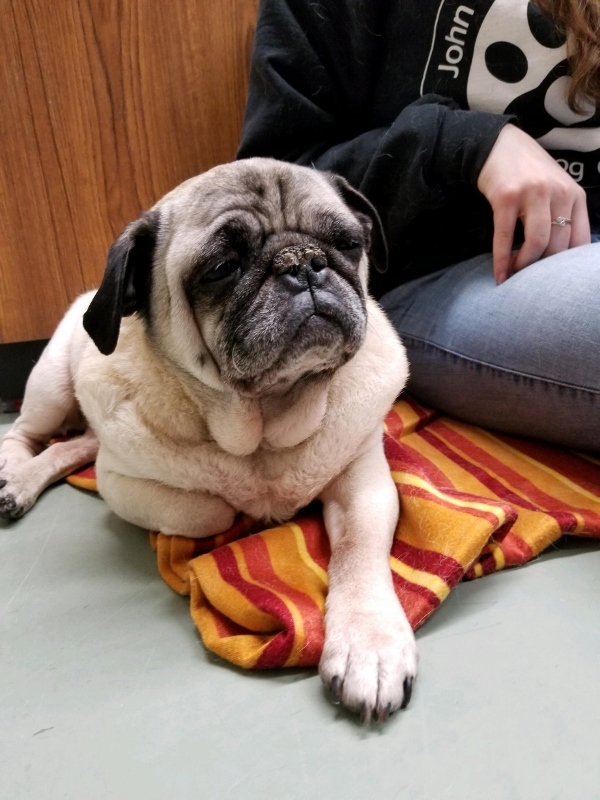 Pugsley will need lifelong daily eye medication for a common eye condition, but other than that he is fit as a fiddle! 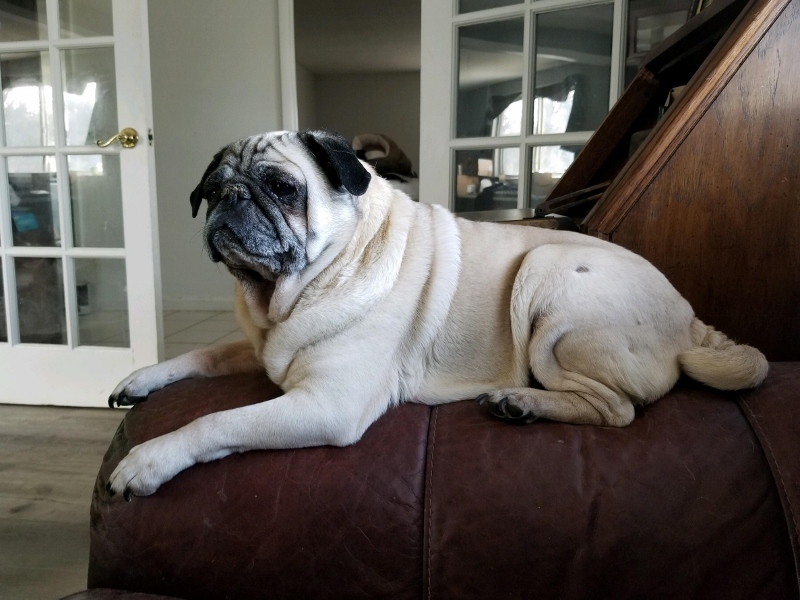 To learn how to make Pugsley your next 4-legged family member, please contact Michelle at michelle.p@poainc.org.